Where are all the female leaders? Gender imbalance in business leadership and pay inequality do not just hurt the women of Ireland. Brid Horan of the 30% Club explains why. 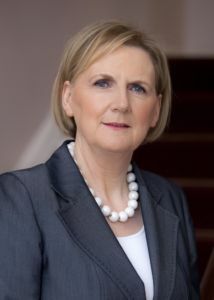 ‘I’m a firm believer in equality and in fully developing the talents of all, to the benefit of both the individual and of society, like many others, I assumed that progress would come with time, but it has become clear that more is needed,’ says Brid Horan, co-founder of the 30% Club (Ireland), former deputy CEO of the ESB, and a shrewd player who has spent decades in the upper echelons of Ireland’s boardrooms. 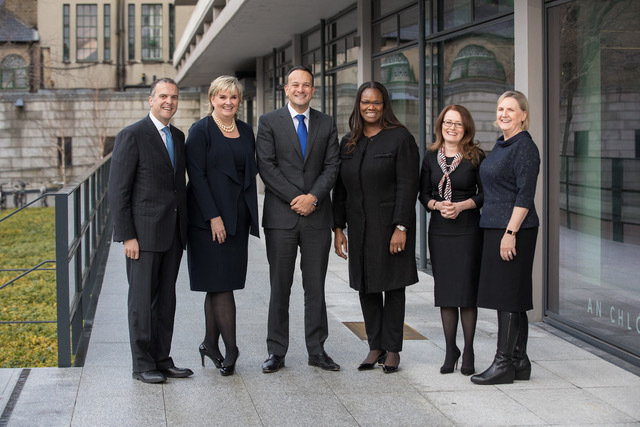 The picture of Horan in the company of Taoiseach Leo Varadkar; Hani Kablawi (EMEA chairman BNY Mellon); Dame Vivian Hunt and her 30% colleagues Carol Andrews and Rachel Hussey demonstrates just how accomplished Horan is at driving progress. The Donegal born actuary has spent a considerable part of her enviable career challenging the status-quo, often as the only woman at the helm of major energy (ESB) and consultancy (KPMG) firms. She’s frank about her journey, insightful about how to navigate change and unrelenting about driving diversity and inclusion. Now, on the eve of International Women’s Day and as Chair of the forthcoming IWDC Conference, Horan reaffirms just how much change is needed, the paradoxes of female leadership and role of the 30% Club in Ireland today. My career goes back to the 1970s, a time when career options and opportunities for women were limited in many ways. This made me conscious of the negative impact of such limitations on the women affected, but also on businesses and society itself. If anything, I’ve become more convinced of this as my career progressed. Any organisation that limits its choice and source of talent is, in my opinion, limiting its potential as well as the potential of its staff. Paradoxes abound in female leadership. Women are highly educated (Irish women are more likely to have a third level qualification than men with over half (55.1%) of women aged 25-34 having a third level qualification compared with just 42.9% of men in this age group in 2016). Women are equally qualified to lead teams yet are not in leadership positions, where do you think we are going wrong? For many years, it was assumed that the changes in labour legislation (many of which were driven by our joining the EU in 1973) would of themselves bring about real equality in the workforce. Undoubtedly, this legislation did make an enormous difference, and we see this now in the increased participation of women in the arena of work. Unfortunately, this female presence is not fully reflected in senior leadership levels in business, or indeed in other sectors such as education, health, public service or politics. In recent years, this reality has been confirmed by numerous studies in Ireland and internationally. Let’s look at some numbers to illustrate this. In organisations with reasonable gender balance at entry level, this diminishes gradually with seniority. Recent research by the 30% Club with Ibec and DCU showed that, among responding organisations, while almost half (48%) of junior management roles are held by women, less than one-third of executive directors are women. According to the research, the percentage of women holding CEO positions in Ireland currently stands at 19%. If anything, this may overstate the position as companies with better gender balance are more likely to take part in such voluntary research. The position of women at board level in Ireland is lagging international trends with only 13% of all directors listed on the Irish Stock Exchange being female. Females are particularly poorly represented at executive director level in listed companies (6%). Perhaps most worrying of all is the fact that 42% of all plc boards have no women directors. The limited progress that was made at this level seems to have stalled or worse. Of 68 new appointments on plc boards in 2017, only eight were female (12% – not even a replacement rate). The Government has indicated that there will be a focus on this issue in a planned review to be announced. Government is committed to improving gender balance on state boards for many years with a target of 40% and have achieved real progress in many such boards. While the proportion is only 29% on commercial state boards, of the ten new appointments on commercial state boards in 2017, four were male and six female. So, asking where are we going wrong is a key question. I think the core answer is that assuming that these patterns will simply resolve themselves over time is a mistake. Experience in the last ten years has shown that this is not going to happen (or at best will take several generations). If we want real change, we need to adopt new approaches, with a clearer strategic intention, visible commitment and leadership from the top and practical initiatives to change the actual experiences of women in the workforce. These need to be developed to meet the issues in each sector and organisation. In the 30% Club, we believe there is real merit in a detailed analysis of the experience in an organisation (understand what your data is telling you), taking positive action to increase awareness and understanding, to remove barriers and support individuals and also in learning from the experience of other companies. We need real honesty to tackle bias – both unconscious and conscious. Our approach in the 30% Club is strongly collaborative, and we are encouraged by the support we are receiving among the almost 200 organisations who make up our supporters. Recent research in the pension industry revealed alarming statistics in Ireland. 500,000 working women in Ireland do not have a pension. Why do think women are so underprepared for retirement? Before looking at women’s financial preparation for retirement, it’s important to realise that women face financial disadvantage while at work. Their concentration at more junior (and lower paid) levels, their greater propensity to take breaks from their careers for caring roles or to work reduced hours and an apparent inequality in payment even for women at the same level as men (for example through lower bonuses) all combine to create what is now referred to as the gender pay gap. This may, in itself, make women less inclined to focus on funding their retirement. Research also confirms that even when women are members of an employer-sponsored pension plan, they are somewhat less inclined to pay additional voluntary contributions and to save less on average than men when they do. How serious is this, not only for women but society and our economy as a whole? It may result in many women being entirely dependent on their State Contributory Pension, at a level which is less likely to provide a comfortable and worry-free retirement. With life expectancy having improved dramatically over the last 40-50 years, women can look forward to living longer in retirement so their financial security at that point in their lives will be critical. Where do you see the opportunity to address this? An essential change is to eliminate the gender pay gap, and the Government’s promised focus on this is to be welcomed. There is also a real challenge for everyone concerned with employment and pensions – financial services companies, employers, pension funds and the State – we need to actively encourage women to plan well for their financial futures, to invest in their well-being. Perhaps we need to look again at how we communicate in this area – can we make the message more relevant and impactful? The pensions reform agenda recently announced by Government includes auto-enrolment, which means that all employees will be automatically entered into a pension arrangement with employer and government support. This should help in areas where there is no pension provision. Financial services companies can also lead the way by actively seeking other innovative approaches to make financial planning and saving for retirement more obviously relevant and attractive to women (and indeed to all workers). As co-founder of 30% Club Ireland, can you tell us about the 30% Club and your reasons for getting involved? I’m a firm believer in equality and in fully developing the talents of all, to the benefit of both the individual and of society. As mentioned earlier, I’ve been conscious of the lack of gender balance and opportunities for women for many years. Like many others, I assumed that progress would come with time, but it has become clear that more is needed. I concluded that this issue is not a ‘women’s issue’ and will not be resolved solely by women’s actions. Real and sustainable change calls for fundamental change in organisations, how they are run, how their people are hired and developed. Such change can only happen when the leadership of the organisation believes this and takes action to make it happen. In the 30% Club, our focus is on the world of work which is a key element of women’s lives. Our supporters are the CEOs/chairs of almost 200 leading organisations in Ireland. Our ask of them is that they believe that improving gender balance in business leadership is an important business issue and that they need to take action to drive change. We actively promote collaboration and sharing of information and carry out research. We also have a number of practical initiatives to support members including our cross-company mentoring programme (with the IMI) and a programme of scholarships for executive education (generously supported by eight leading higher education institutions). On March 8 you are conference chair for the IWDC, what is the thinking behind the conference and what are your ambitions for the day? Since I retired from ESB in late 2014, I’ve had the privilege of working closely with our higher education sector in a number of ways, so I’m delighted to be chairing this conference in the University of Limerick. 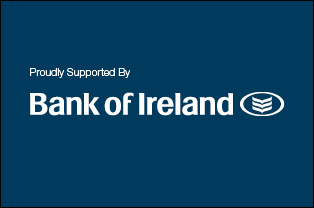 A particular feature of the event is the collaboration between the university and a number of businesses, including Bank of Ireland, Northern Trust and others. I heartily welcome this kind of cooperation which can greatly benefit both HE and business. It’s also a pleasure to chair this event in Limerick as so many business activities are Dublin-centric. I’m hoping for a combination of interesting inputs from the powerful group of speakers and interesting discussions with them and attendees. The agenda includes a focus on encouraging women’s participation in STEMM (Science, Technology, Engineering, Maths and Medicine) which still represents a real challenge and a great topic to discuss with those in academic and business life. Finally, this year’s IWD call to action is #pressforprogress how does that translate to your business, what can your industry do to encourage more progress? I believe the theme Press for Progress is timely. The case for gender balance has been well made; the time for action is here – that is our focus in the 30% Club, in our work with our supporters and our broader engagements with government and other stakeholders. Main image: When the Taoiseach gave the opening address to the 30% Club Annual Conference ‘Leading for Inclusion’ held in Dublin Castle. Picyured (l-r) are Hani Kablawi, EMEA Chairman BNY Mellon; Carol Andrews, country lead 30% Club Ireland; Taoiseach Leo Varadkar; Dame Vivian Hunt, managing partner McKinsey UK & Ireland; Rachel Hussey and Brid Horan, 30% Club steering committee.